That’s the theme of August’s Birchbox, which is appropriate for me since I’m preparing to move down to Arlington, Virginia and begin graduate school at GWU. This month’s box was ahhhhmazing, and had tons of goodies that I ended up using right away, and am definitely thinking about purchasing in the very near future! 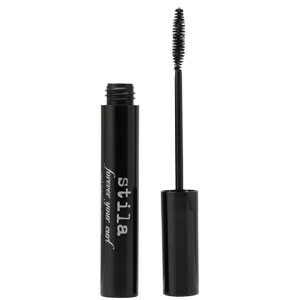 The first item I took out of my August box was Stila’s ‘forever your curl’ mascara. Now, I typically only use benefit for my mascara (see my battle of the benefit mascaras here). However, since stila is one of my favorite brands, and I’ve never tried their mascara, I was happy to see this! 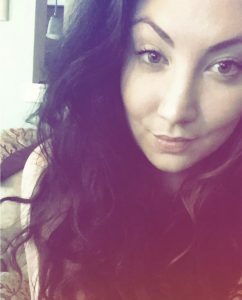 The mascara def created a good curl, but I love extra va-va-voom in my mascara, and this one just didn’t cut it for me. BUT, I still love stila! PS: I couldn’t get a good picture of it because of the shape of the bottle and how small it was. The next item I saw was the Shu Umeura Art of Essense Absolute Nourishing Protective Oil for hair. Considering the retail price for this item ($68), I’m pretty sure I would not regularly purchase it, especially since I’m so loyal to Bumble and Bumble. Nonetheless, it’s always great to try new products. You can use this hair oil as a pre or post shampoo/ conditioner serum, or to help style on dry hair. Multiusage is super important, and from what I have read about this product, it certainly accomplishes that. I’ll let you know when I try it out! Next we have my favorite product from this August box, Talika’s Oil-Free Lash Conditioning Cleanser. I’ve never heard of this brand before, which is why I love Birchbox so much, it allows me to try new brands I might not find otherwise! Anyway, with the amount of mascara I wear on a daily basis sometimes I worry about my lashes. I try to take off my mascara every night, but some nights when I don’t end up going home it’s not always easy…especially since it’s waterproof!!! This lash cleanser is also a conditioner, nourishing lashes and restoring some of that wear and tare from both applying mascara, and then removing it. I will definitely be purchasing this from the Birchbox store! I was surprised to see the Schick Hydro Razor in this month’s box, but alas, this is an important part of beauty upkeep. The Hydro Razor, keyword hydro, is supposed to moisturize legs for up to two hours after shaving, and it uses five blades for a super close shave. I am extremelyyy loyal to my Schick Intuition, and have been for years. Although using this razor was fine, I know I won’t be leaving it’s cousin Intuition anytime soon! The last sample is Juicy Couture’s Viva La Juicy La Fleur — which I have used samples of in the past. It’s very fruity, super girly smelling, which is fun but I don’t love it as an everyday scent. The fact that it’s so sheer though, good for end of summer and beginning of fall, is nice and keeps it light. What a fab box – I'm starting to go off some of our English boxes (glossybox especially) but it seems like there's some fab ones still on offer around the globe!